In March 2018, the City of Philadelphia put out an urgent call for 300 new foster families. Despite the desperate need for homes for the 6,000 children in Philadelphia’s foster care system, the City then abruptly barred Catholic Social Services, one of the most successful foster agencies in the city, from placing any children. The City's actions mean that foster homes are sitting empty and loving foster parents are unable to serve at-risk children, simply because the City disagrees with Catholic Social Services' longstanding beliefs about marriage. In May 2018, Becket stepped in to protect children, families, and Catholic Social Services against the City of Philadelphia. Sharonell Fulton, et al. v. City of Philadelphia. The Becket Fund for Religious Liberty (n.d.). Retrieved from https://www.becketlaw.org/case/sharonell-fulton-et-al-v-city-philadelphia/. Sharonell Fulton, et al. v. City of Philadelphia. (Apr. 04, 2019). https://www.becketlaw.org/case/sharonell-fulton-et-al-v-city-philadelphia/. "Sharonell Fulton, et al. v. City of Philadelphia." The Becket Fund for Religious Liberty. Accessed [Apr. 04, 2019]. https://www.becketlaw.org/case/sharonell-fulton-et-al-v-city-philadelphia/. 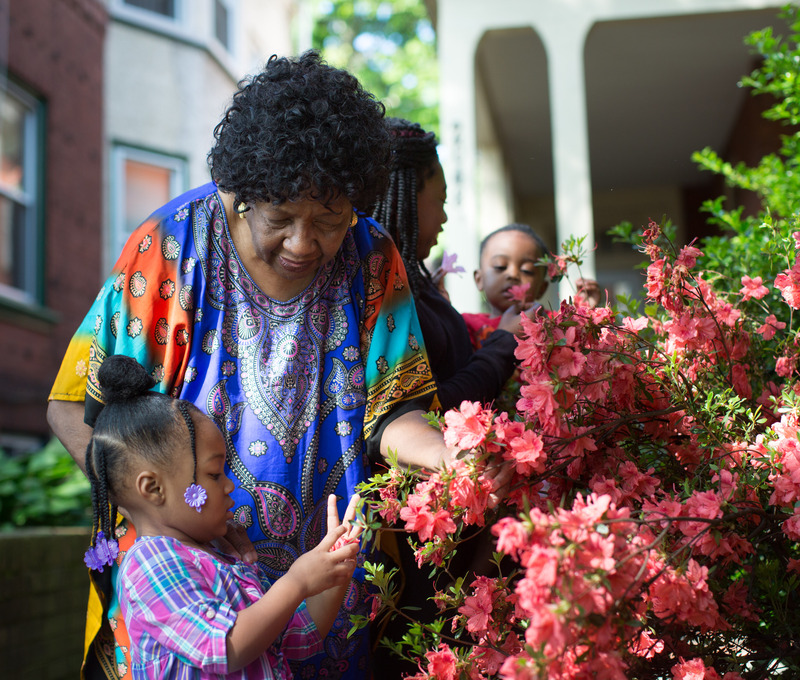 Sharonell Fulton has fostered more than 40 children over 25 years. She currently cares for two young siblings with special needs. Sharonell provides a safe and loving home for these children in addition to attending to their special needs, which include extensive medical care. Sharonell could not provide the resources these children require without the ongoing support of Catholic Social Services, which has provided Sharonell with training, resources, and professional guidance for how to care for children. Catholic Social Services has served needy children for over a century. It is one of Philadelphia’s top-ranked foster agencies, especially when it comes to finding permanent homes for children. According to the City of Philadelphia, “[a]t any given time, nearly 6,000 children and youth are in foster care in Philly.” That’s why the City of Philadelphia put out an urgent call for more foster parents on March 8, 2018, asking for 300 new families to join the foster care network. But shortly after the call for help, the City inexplicably prohibited Catholic Social Services from placing more children with families—just because of the agency’s religious beliefs. On March 15, 2018, the City of Philadelphia stopped all foster care referrals to Catholic Social Services. The City also threatened to permanently terminate its contract with Catholic Social Services without warning, unless Catholic Social Services abandons its longstanding religious beliefs about marriage. But no family has ever filed a complaint against Catholic Social Services for following its Catholic mission, and Catholic Social Services’ religious beliefs have never prevented a child from finding a home. Now, by suspending referrals to Catholic Social Services, the City has made its foster care crisis even worse. Philadelphia has decided to prioritize political grandstanding over the needs of children. The City’s actions are already causing severe consequences to children and families. Right now, there are families licensed to foster through Catholic Social Services who are willing to take in children, but whose homes remain empty because the City is preventing Catholic Social Services from doing what they do best—placing children in safe, loving homes. Worse, the City’s threat to terminate its contract with Catholic Social Services will put foster children’s placements in jeopardy and leave existing foster families, like Sharonell Fulton’s, without critical support. Sharonell chose Catholic Social Services because they treat her with compassion and respect. She has been able to call social workers at any hour of the night and receive an answer from someone she knows and trusts. These social workers have become like family, and they make her foster children feel loved like family, too. In May 2018, Becket stepped in to represent children, families, and Catholic Social Services in their lawsuit against the City of Philadelphia. The City of Philadelphia is looking to score political points, but if it stops working with foster care organizations simply because of their religious beliefs, the only thing it will accomplish is fewer homes for children who need them. On June 5, 2018, Becket filed a Temporary Restraining Order and a Motion for Preliminary Injunction against Philadelphia’s discriminatory policy that has prevented foster children from being placed in loving homes. In one particular case, the City refused to allow a young, special needs child to be placed with his former foster mother despite having no other permanent homes for the child. Because of the City’s actions, this child languished in a temporary respite home for weeks. After it had to explain its actions in court, the City allowed this child to be reunited with his former foster mother. But the City admits that is has 250 other children who need to move from group homes to loving families, and it still refuses to place them with families who work with Catholic. On July 13, the district court denied the preliminary injunction, and Becket immediately appealed to the Third Circuit Court of Appeals, seeking to protect children and families before the City succeeds in shutting the agency down. On August 30, the U.S. Supreme Court declined to grant a preliminary request for relief by the foster families. But three Justices agreed that Catholic Social Services had an “indisputably clear right to relief” in order to help foster parents to continue serving children in need. Next month, Becket will continue to defend these foster children and parents in a federal appeals court. The Supreme Court may consider the matter again after the Third Circuit Court of Appeals considers their case. On September 4, former foster children, eight states, a Jewish advocacy group, a large Congressional coalition and others filed friend-of-the-court briefs urging the Third Circuit to reverse the district court ruling and protect children, families, and Catholic Social Services. Oral argument took place on November 6, 2018. Individual freedom: The government discriminates against a religious group if it prevents them from providing services based on their religious beliefs. Public square: Faith-based organizations serve their neighbors and provide benefits to the community when they are able to operate in the public square. Religion in the public square is not a threat, but rather a natural expression of a natural human impulse.